Just added over 40 acres to this listing!! 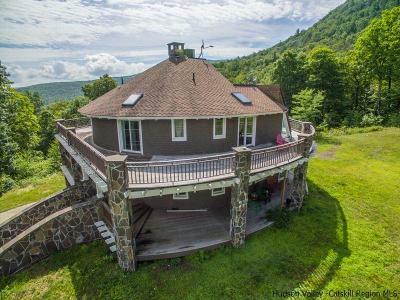 Magnificent, one of the largest parcels ever offered in the Town of Woodstock. Located above Wilson State Park this is on the north slopes of Ticeteneyck Mountain. Main house and cottage surrounded by vast recreation lands with several brooks forming the headwaters of the Little Beaverkill and many species of trees and wildlife awaits your enjoyment. See the aerial video at this link: Two custom designed homes with the guest house at 227 Coldbrook Rd. 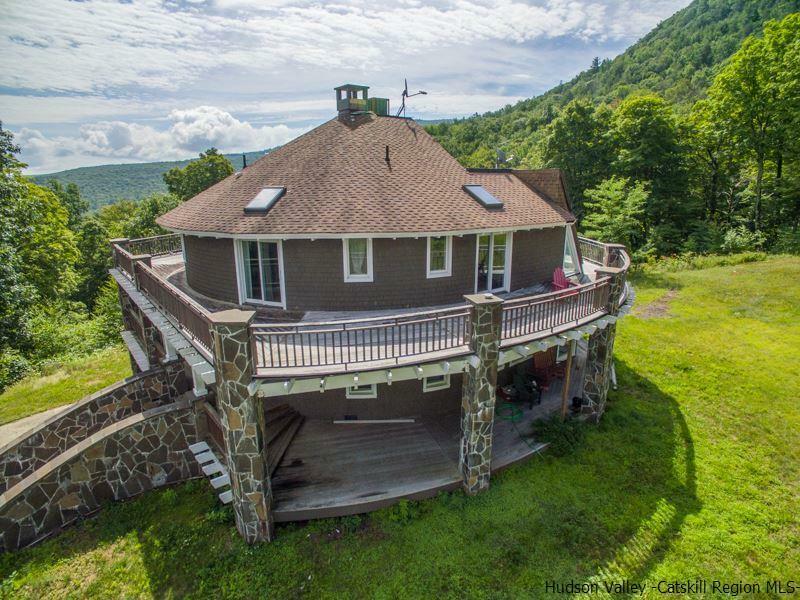 and the large panorama view house with wrap around decks further up the hill at 229 Coldbrook Rd. This property might be further subdivided with existing underground electrical utilities along the driveway. This listing includes two houses on separate deeds to be sold as one offering. Refer to MLS#20181342 and #20181340 with a combined price of $2,250,000 for the two listings -- or to be sold together under this listing for $2,199,900. It was proposed to be a ski area in the 1970's. Other plans considered in the past have included a cellular tower location at the summit of Ticeteneyck to cover the central Catskills and mid-Hudson Valley, and for a large municipal wind energy project for the Municipality of Woodstock on the plateau along the top of the mountain.